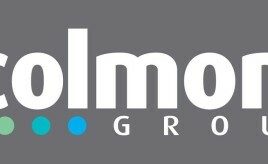 Scolmore is one of the UK’s leading manufacturers of electrical accessories, lighting, home automation and security products. Ask your questions ahead of the conference. Petra Biberbach, PAS; Sarah Boyack, SFHA; and Ivan Clark, Scottish Natural Heritage. 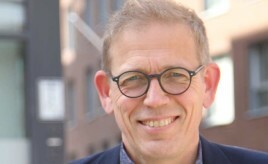 Finnish future living expert, Kimmo Rönkä, is to open the Innovations Factory event on 22 January to talk about how social housing will change over the next few decades. 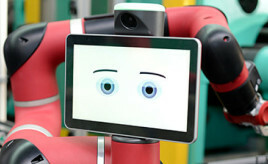 Innovation – What does the Future of Development Look Like? At this year’s Development Conference, taking place on the 12 February at the DoubleTree by Hilton, delegates will hear from Sarah Buchanan from CSIC and Lorna Wilson from SFHA on what the future of development looks like. Sold-out event welcomed future living specialist, Kimmo Ronka, to talk about his award-winning developments in Finland and saw the launch of a brand new fund for housing associations to incorporate nature into their developments. The availability of land and an effective planning system has a major impact on the ability of housing associations to deliver quality affordable homes and to create high quality environments and communities where people choose to live. 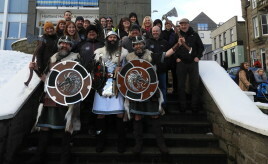 Paul Leask and Andy Walterson embraced their Viking heritage this week for Shetland’s annual Up Helly Aa festival.